After wooing customers with happy meals and extra-value meals, Big Mac has added breakfast to its menu, which it believes will keep the chain 'ahead of competition'. After trial runs in a few Mumbai and Delhi restaurants, McDonald's has taken over two years to formally launch the breakfast category, which both the chain and analysts call a challenging segment to be in, given the Indian habit of having breakfast at home. "Most Indians prefer to have their breakfast at home and it is a challenging job to change that habit. But we clearly see an opportunity in this segment. We feel breakfast will see the kind of success we have seen in burgers," says Amit Jatia, managing director, McDonald's India, west and south. And that opportunity is big. Globally, breakfast contributes 25 per cent to McDonald's revenues, and in south east Asia, it accounts for 12-15 per cent. 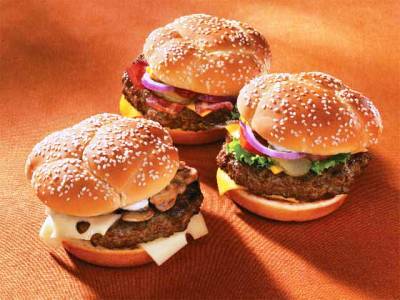 So, the chain is gearing up for the launch of its breakfast menu 'patch by patch' in all metros and then Tier-II cities. 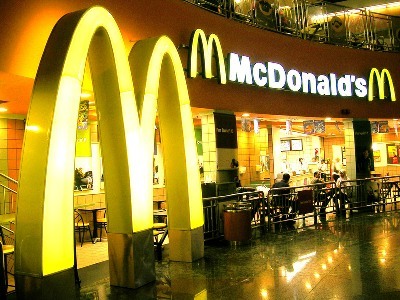 For starters, the 14-year old McDonald's India runs 192 restaurants in the country. In the next three years, the chain plans to sell its breakfast menu in nearly 70 per cent of its restaurants. It has introduced a dozen items such as chicken Mexican wrap, egg muffin, paneer salsa wrap and salad sandwich, priced between Rs 20 and Rs 72. Retail consultants say McDonald's bet may pay off given the changing food habits. "The shift from Indian breakfast to western has been happening for a while as people are getting used to western snacks and the number of those who are eating out is increasing," says Devangshu Dutta, chief executive, Third Eyesight, a business consultancy. The acceptability of western breakfast is enough to give McDonald's a critical mass in this segment, says Dutta. Adds Debashish Mukherjee, principal at retail consultancy AT Kearney: "Though the breakfast concept is ahead of its times, I think it is a step in the right direction." But isn't two years a long time for experimenting in a market which is very dynamic? Jatia does not think so. "We wanted to make sure the pricing, menu and offering is right and match the taste of our customers," Jatia says. Further, the chain has been making its restaurants 'breakfast-ready' over the last six months, investing around Rs 10-15 lakh (Rs 1-1.5 million) on new equipment per restaurant and changing the layouts of the kitchens, and Rs 1 crore (Rs 10 million) on the supply chain. Other than supply chain, Jatia says the chain is investing Rs 40 crore (Rs 400 million) in the next one or two years to be able to offer breakfast across all its restaurants. 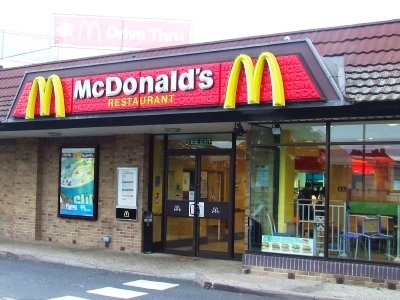 Though consultants endorse the success of McDonald's as a value for money restaurant with right pricing, location, branding and delivery strategies, they also point out the growth of other quick service restaurants such as KFC, Pizza Hut, Dominos which can pose a tough competition. 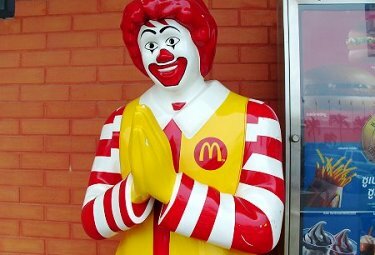 "Though McDonalds had a head start, how the competition plays out will be a critical factor," says Mukherjee. The QSR market has a lot of unbranded players. Jatia says the chain has many aces up its sleeve. For example, pricing, which is the chain's biggest USP. Even when food inflation was at its highest, prices were almost flat at McDonald's. "We had increased prices in three-four items, but quickly brought them down,'' he says. He recalls how the chain brought down the prices of extra meals -- McVeggie and McChicken -- to Rs 85 and Rs 96 from Rs 110 and Rs 120 respectively in September last year. Apart from breakfast, Jatia says Big Mac has big plans on expanding the chain and introducing new items in the menu over the next three years. The chain plans to open 250 new restaurants in the next three to four years with an investment of Rs 750 crore (Rs 7.5 billion) on the front end, excluding the real estate charges, and Rs 250 crore (Rs 2.5 billion) on the back end. About 20 per cent of the new restaurants will be drive-through. The current num ber is 40. 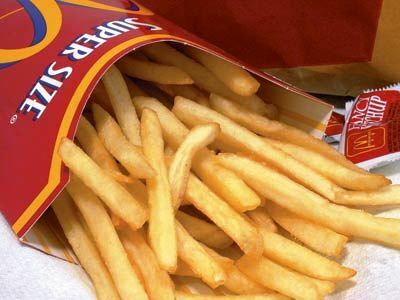 But unlike other chains, McDonald's is focusing on a cluster strategy. For instance, in 2006, Bengaluru had two stores; today it has 29. "I don't want to enter a new region until we have serviced the current territories fully. It helps us in getting better economies, better branding, consumer connect and so on," he adds. Analysts believe the new stores will help the chain in achieving its stated target of doubling turnover every three years. The chain is also working on bringing McCafe, its chain of coffee shops, to India in the next couple of years. On the menu front, plans are to add new categories such as desserts, beverages and products at premium price points. McDonald's is also launching its MFY (made for you) system across all stores. In MFY, whenever a customer orders at the counter, it goes live to the kitchen, and it has to be delivered within a minute. Jatia says the chain is running a profitable business and delivering a high double digit same store growth consistently for the last six years. It broke even two years ago at the store level. 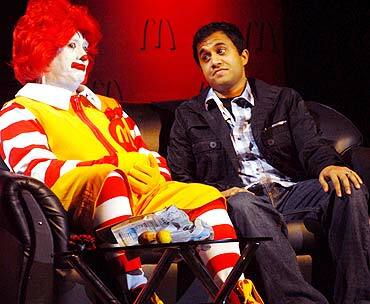 Image: A man dressed as Ronald McDonald -- McDonald's mascot -- poses with actor Omi Vaidya.